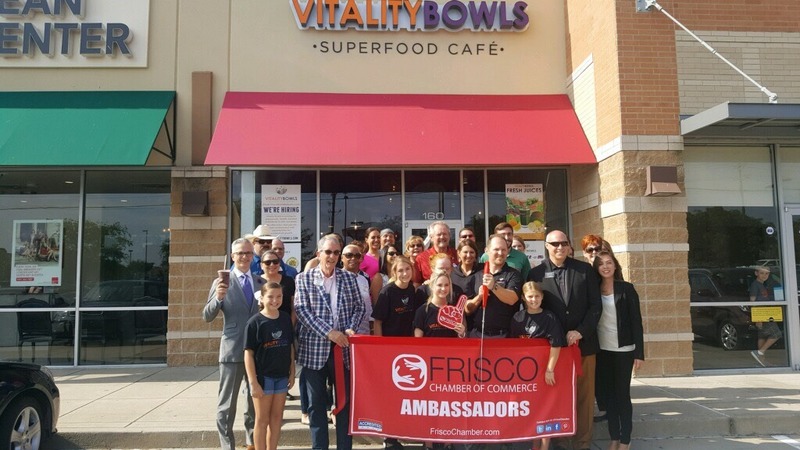 Vitality Bowls Frisco, the company’s fourth Texas location, opened in August 2017 at the Parkway Towne Crossing near Super Target and a number of retail establishments. 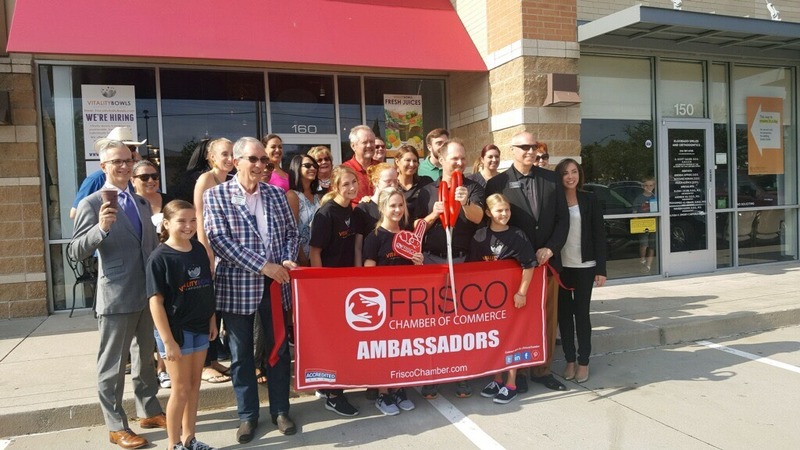 Frisco, Texas is a suburban town located about 20 minutes north of Dallas in Collin and Denton Counties. 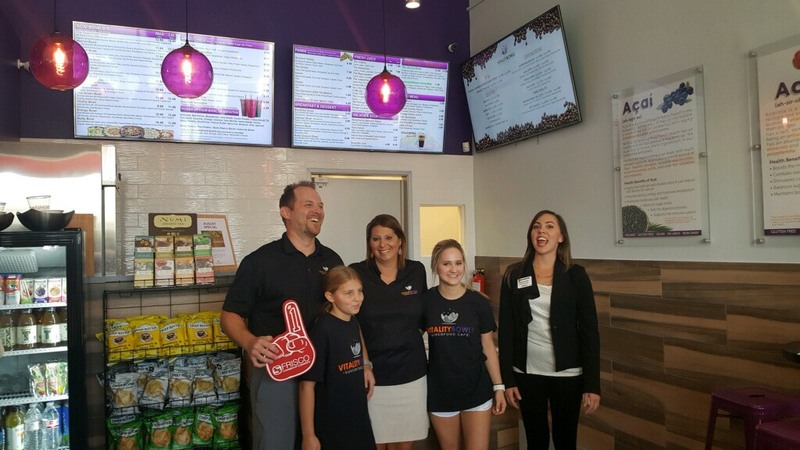 Locals and students love Vitality Bowls Frisco for their acai bowls, smoothies, Panini, juices and salads. 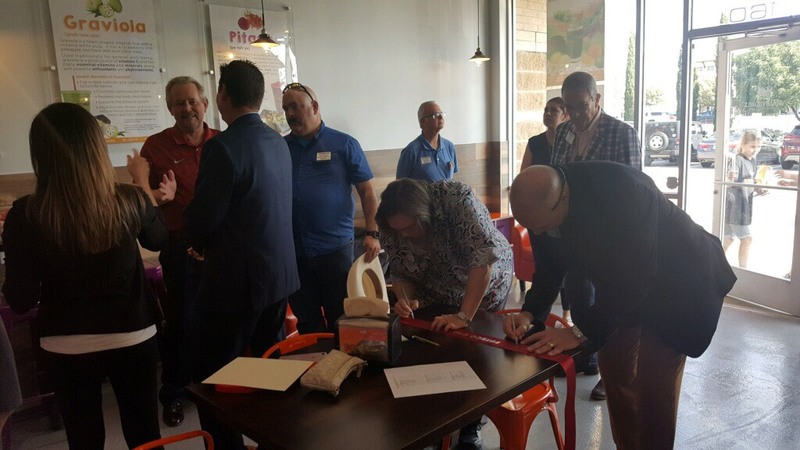 The location, which caters frequently to local businesses, also offers organic kombucha and cold brew coffee on tap. 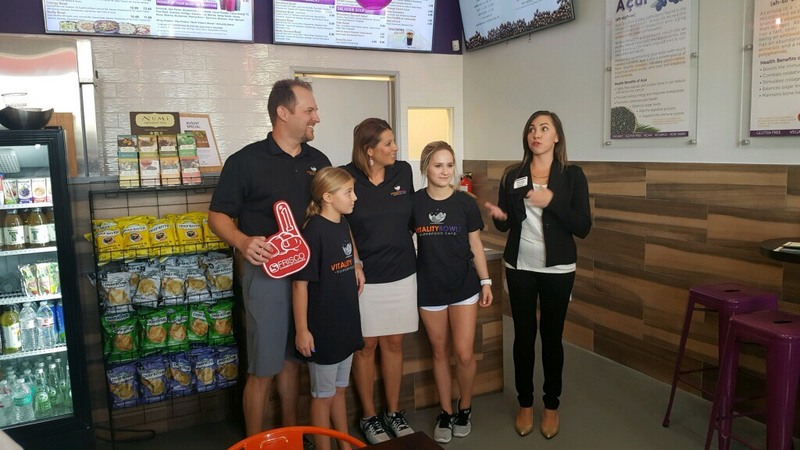 Entrepreneurial couple Josh and Jaime Willingham opened Vitality Bowls Frisco in their hometown. 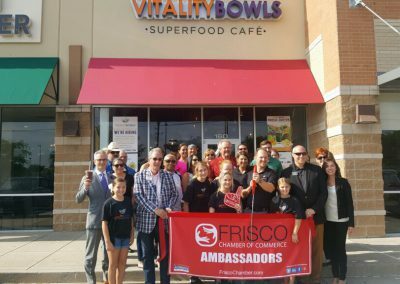 Josh, a seasoned executive director with more than 20 years of management experience in the banking industry thought Frisco was in need of more healthy meal options and realized Vitality Bowls would be the perfect concept. 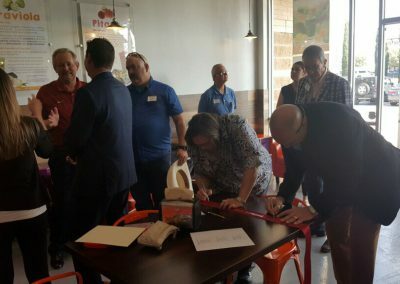 The couple plans to open additional cafes in the future. 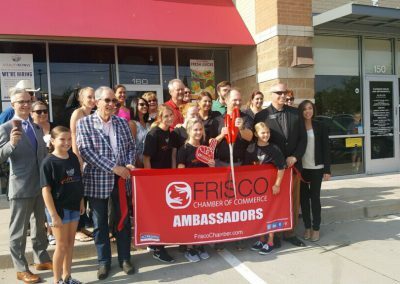 Nothing else like this in Frisco! Hands down the best acai bowl I’ve ever had. Awesome bowl selection. 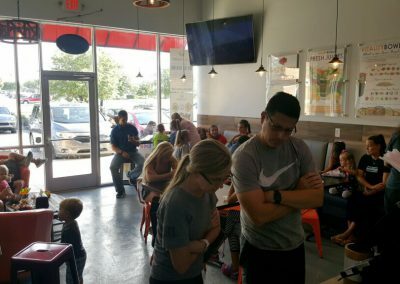 Menu is super transparent, and the staff goes to great depths to help you customize your meal & takes care of any food allergies. A must try for any health nut. Will be a regular customer for sure!! 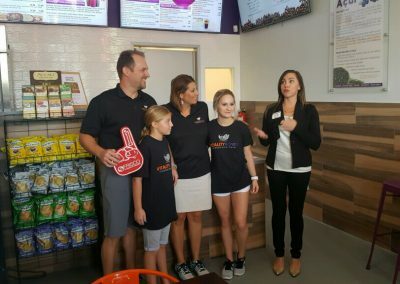 Bowls have amazing flavor and really good toppings! They have a lot of options so everyone can find something they would like. 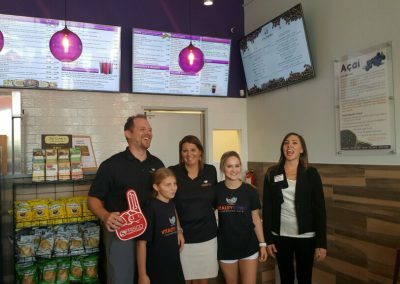 The owners and employees are also very welcoming, nice, and helpful! This place is awesome!!! 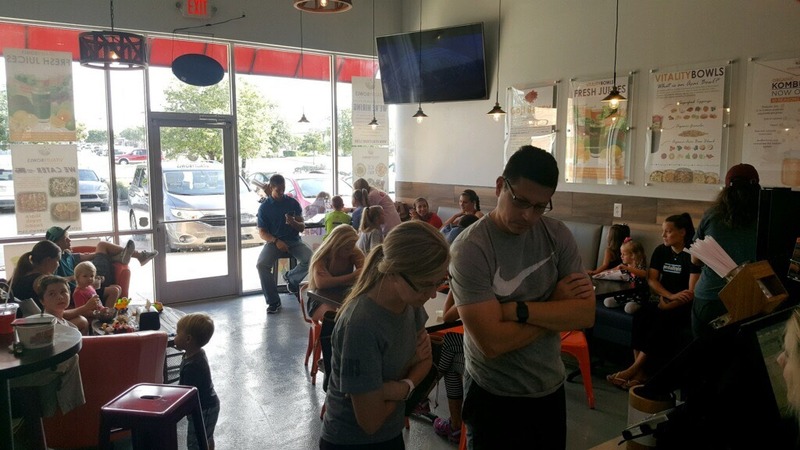 The people were SUPER nice and the bowls are amazing. I definitely will be returning for more!! !